The Year of the Dog | Seabreeze Management Company Inc.
Today, people around the world are celebrating Chinese New Year, and 2018 is the year of the dog. The dog is the eleventh of the zodiac animals and is known for loyalty, obedience and commitment to people and work. In other words, dogs don’t fail us. They’re constantly ready, able and willing to sacrifice everything to protect and love us—or to get a treat! If you know me, you know how much I love my dog. 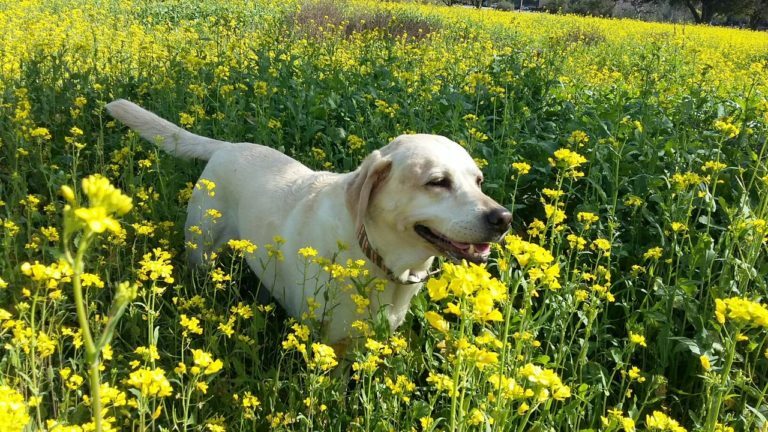 Kaya, my yellow lab, has been my constant companion since she was just two months old. If I’m honest, the idea of getting a dog stressed me out. Visions of food, vet bills and early morning walks had me worried about how I would work these newfound responsibilities into my busy schedule. Not to mention that this little fuzzy creature was now completely dependent on my ability to give her the care and love that she needed. Now, eight years later, I look back and smile at my naivety. As it turns out, Kaya has been my protector, companion and fellow road warrior for nearly a decade. Through moves, opportunities and changes, she’s been there, always giving anything and everything to ensure my happiness. Ironically, it feels like she’s taken better care of me than I have of her. So why is the year of the dog important? It’s important because in the fast-paced, often rushed world in which we live, loyalty and commitment are hard to come by. We are all guilty of moving quickly from one thing to the next as we try to check things off of our “to-do” lists. But dogs don’t have a daily agenda or a task list, and they’re always 100 percent present and focused on what we need. This year, the Seabreeze team is renewing our promise to be 100 percent present, loyal and focused on what our clients need. We want the opportunity to grow with every one of our communities throughout every stage of life, and we will do whatever it takes to earn that privilege. Kaya is not just a dog to me; she’s a part of my family. And a very important part, I might add! But she’s not my only family. Every person here at Seabreeze and every one of our communities is part of my family, too. I hope to enjoy many more years of Kaya’s companionship just like I hope to enjoy many more years with our clients, communities and this great organization.